You rely on Internet in your home for everything from entertainment to security, and your vehicle is quickly assuming the same role. 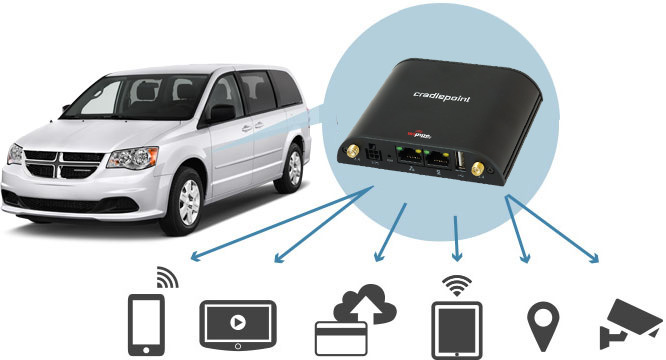 A CradlePoint mobile router can provide a powerful WiFi hotspot wherever your vehicle may go. How is CradlePoint different from a mobile hotspot? 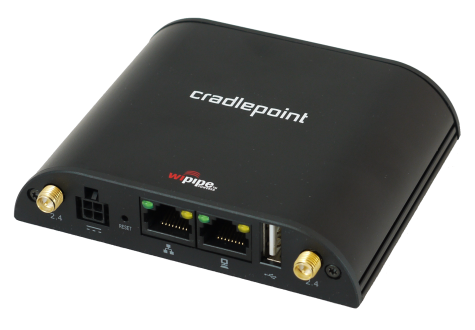 CradlePoint is much more powerful than a standard mobile hotspot, and features state of the art technology specifically designed for moving vehicles. That means you get a stronger signal that cuts out less, no matter how many devices are connected. A standard hotspot cannot be used for security cameras, network printing, streaming local content to an Apple TV, file sharing, or anything else more advanced than connecting to the Internet. With Cradlepoint, your options are endless. Need mobile Internet access for a Fleet vehicle? We offer commercial units with even more power through our fleet services division.